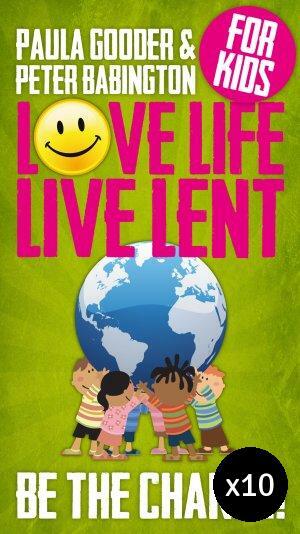 Love Life Live Lent helps you change the world for the better during Lent one small action at a time! This unique booklet offers 40 simple child-friendly actions for each day of Lent to make the world a better place - locally, nationally and globally. This is a pack of 10 of the Kids version. Love Life Live Lent Kids - Pack of 10 by Paula Gooder; Peter Babington was published by Eden bundles in February 2019 and is our 13729th best seller. The ISBN for Love Life Live Lent Kids - Pack of 10 is EDENBUNDLE-2287. Be the first to review Love Life Live Lent Kids - Pack of 10! Got a question? No problem! Just click here to ask us about Love Life Live Lent Kids - Pack of 10.